The Coca-Cola Company has launched its first product that is 100% sweetened with natural sweetener stevia in New Zealand. 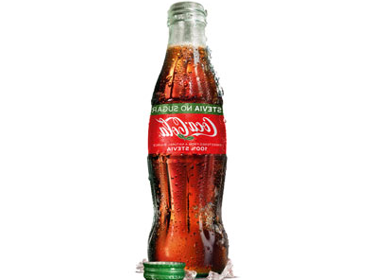 The product, which is called Coca-Cola Stevia No Sugar and will replace Coca-Cola Life in the country, is produced using a specific part of the stevia leaf to provide sweetness with a clean aftertaste. “Our team and our partners have spent almost ten years working with stevia, a sugar alternative from a natural source – the stevia plant. It was not as simple as finding a sweetener and swapping that out for sugar. It had to have a taste that people will love. Coca-Cola Stevia No Sugar is the result of thousands of hours working with the stevia plant to get the best from it. The product became available from 7 May in all major and independent retailers in New Zealand in a variety of pack sizes and formats including a 300ml PET bottle, 600ml PET bottle, six-pack of 250ml cans and 330ml glass bottle.